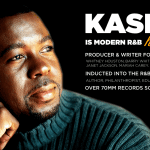 Well folks it’s time to mobilize, motivate and make it happen… as many of you know for the last few months we’ve been creating awareness of the landmark career of Kashif and bringing you up to speed about his latest project The History of R&B Music. 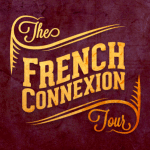 Today Kashif has launched an IndieGoGo to help with financing the completion of this ten-part mini-series. Up to this point the project has been completely self-financed by Kashif and he is making the ask for $500,000 to complete the project. This is a mini-series of magnanimous proportion, in scope and scale and we are asking that as you consider contributing you at the very least tell everyone that you know and encourage telling everyone that you know to tell everyone that they know that the story of the Rhythm and the Blues is finally being told in its totality. Why R&B you ask? 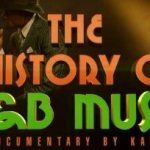 Quite simply R&B has been the driving force behind all popular music since it began in earnest in the late 1940’s and who better to bring this story to audiences near and far than Kashif: an artist, songwriter, producer, filmmaker and educator whose career has spanned 40 years in this business.